A 1969 era image of AAUW activists in Laguna Beach. The American Association of University Women, Laguna Beach branch, will celebrate 50 years of commitment to the education of women and girls in 2017. 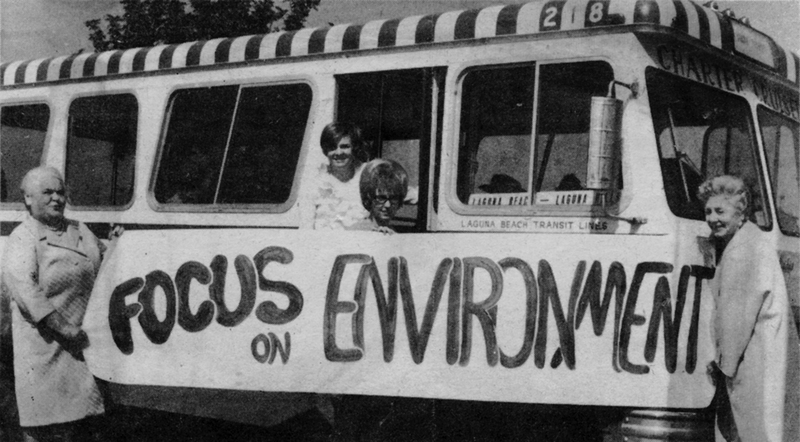 In 1967 as the Sawdust Festival and Laguna Art-A-Fair each held their first shows and the city held its first Patriots Day parade, 116 women from Laguna Beach and neighboring new south Orange County cities founded AAUW Laguna Beach Branch. Many of the founding members were young mothers, living in the newly built housing tracts in Top of the World. Early directories listed members by their husband’s names, with the women’s first name in parenthesis. Today, the branch’s 170 members reflect a generation that transitioned from raising families to working full-time, often in professional careers. AAUW, founded in 1881, has evolved into one of the largest non-profits in the country supporting educational equity for women and girls through scholarships, grants, research and advocacy, expanding its membership along the way to include women community college graduates, says a statement. The history of the branch reflects changes in Laguna Beach demographics and in the role of women as well as an unwavering commitment to service. “AAUW’s mission and programs give us the tools to help women and girls reach their potential,” charter member Jean Brotherton says in a statement. Currently the AAUW offers annual scholarships for girls graduating from Laguna Beach High and for women attending local colleges. Members have sent 100 girls from Thurston Middle School to summer Tech Trek camps at local universities. Volunteers have supported after school tutoring at El Morro Elementary School for 17 years. Members have offer salary negotiation workshops to women and men at Orange Coast College and LCAD and they sponsor two college students to attend the National Conference for College Women Student Leaders. To learn more about AAUW-LB, please visit www.aauw-lagunabeach.org.